I’ve been thinking about IDF Colonel Yoram Hamizrachi (East) who passed away in October 2010 . I ’ve been thinking of the fact that fourty five years ago this month Yoram participated in what is one of the most historic battles of Jewish history--the capture of the Western Wall and the Temple Mount in the 1967 Six Day War. Yoram must have been the only Jew in our Winnipeg Jewish community to have fought in this most significant battle in East Jerusalem to liberate the Western Wall, something which it is difficult for my generation to fathom as ever having not been under Israeli control. It was a battle that changed the course of Jewish history, the consequences of which continue to reverberate today. In June 1967, a twenty-five year old Yoram Hamizrachi, a native of Jerusalem born in 1942 in what was then British Mandatory Palestine, was a soldier in the paratroopers reserve brigade. On June 7, 1967 the Paratroopers were the ones to capture the the Western Wall , and Temple Mount, considered an historic moment of the war due to the sanctity of these places to the Jewish People. The Western Wall and Temple Mount had not been under Jewish sovereignity for 2000 years. If we had been forward thinking as a community, our Jewish Heritage Centre and/or our Jewish schools would have video taped and documented Yoram Hamizrachi describing this historic battle and recounting so many details that only he would have known. That video tape could have been shown to generations of our school children and adults every Jerusalem Day for time immemorial. Yoram's knowledge of this most defining battle in modern Jewish history was a treasure trove that unfortunately has been lost because to the best of my knowledge no one in our organized Jewish community had the wisdom to make sure Yoram's account of the battle was told and perserved. It is sad, but true. From what I can see, Yoram's name, is nowhere recorded in Al Levine's book about our community,"Coming of Age", probably because Yoram didn't quite match the criteria (although it would be interesting to know if his name even came up as a possibility for inclusion in the book). Yet Yoram's story was part of a story of international stature. If it weren't for the paratroopers like Yoram none of us since '67 would have been able to visit the Western Wall, place our notes in its cracks, have life cycle clebrations there, visit there on missions and birthright--etc. If there is one place Jews will be ready to die for in any possible future battle (which hopefully won't happen)--it is the Western Wall. 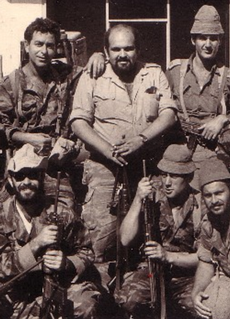 After 1967, Yoram's own military accomplishments rose and in the 1970's he achieved the distinction of becoming the IDF Colonel in Southern Lebanon, the first Israeli officer to ever work with the South Lebanese Army under General Haddad, a Lebanese Christian. Yoram's military career in Southern Lebanon would easily in my view have been a ripe subject for documenting and preserving. His knowledge of South Lebanon would have been something to document and video tape as a tool for teaching Israeli history to our children. In writing this article I contacted the Jewish Heritage Centre a couple of weeks ago about Yoram and the Six Day War in their archives, but I never heard back. If they have something, I hope they'll let me know. I also contacted Yoram's ex-wife Beate Zahn to see what she remembered of Yoram's part in the battle for the Old City in1967 (which never would have occured had Jordan listened to Israel's plea to stay out of the War).